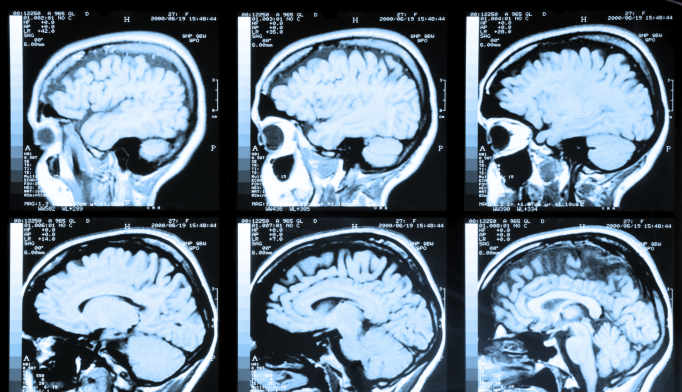 Researchers at Northwestern University have developed a new, noninvasive magnetic resonance imaging probe that they say can identify the start of Alzheimer’s disease years before symptoms appear. William L. Klein, PhD, of Northwestern’s Department of Neurobiology, and colleagues say that the MRI probe, which combines a magnetic nanostructure with an antibody that looks for toxic beta-amyloid oligomers in the brain, can detect Alzheimer’s early. Beta-amyloid, considered a hallmark of the disease, show up as dark areas in MRI scans of the brain, due to associated magnetic nanostructures, the researchers reported in the journal Nature Nanotechnology. In brains with Alzheimer’s, beta-amyloid oligomers attack synapses of neurons, which harms memory and leads to the death of neurons. Over time, beta-amyloid builds up and sticks together, forming plaque. Oligomers, however, appear much earlier than the plaques — up to 10 years beforehand. Alzheimer’s disease can be identified much before you see the usual symptoms, says a Northwestern University team of scientists and engineers. The team has invented a noninvasive magnetic resonance imaging device, which coupled a magnetic nanostructure with an “antibody that seeks out the amyloid beta brain toxins,” going on to the beginning of Alzheimer’s disease. The MRI scans of the brain can detect the toxins that have gathered as dark areas, due to the associated magnetic nanostructures. A new brain imaging method to identify the toxin leading to Alzheimer’s disease is available now, according to neuroscientist William L. Klein, leader of the research team, along with materials scientist Vinayak P. Dravid.